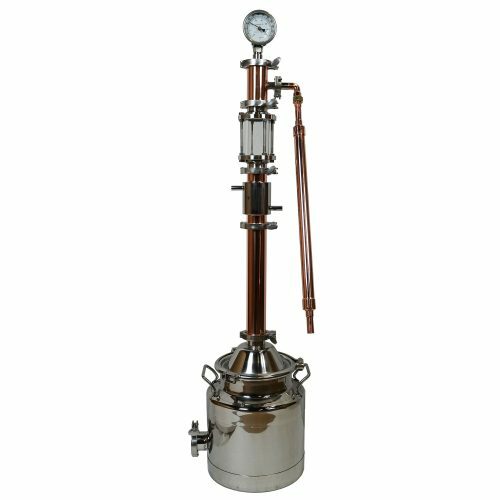 Introducing our 8 Gallon Copper Milk Can with two inch copper pot still tower. 8″ rolled top opening just like the stainless milk can so easy to clean out. 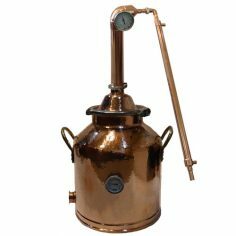 2″ copper domed top lid with stainless clamp. 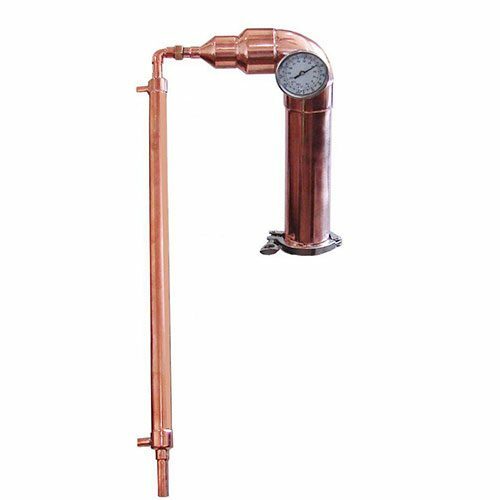 These 8 gallon copper milk cans have a 2″ tri-clamp fitting for heating element and a dial thermometer. 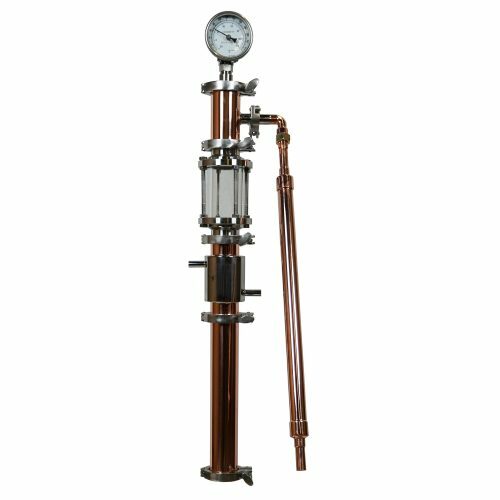 The 2″ copper pot still head is all tig welded copper. 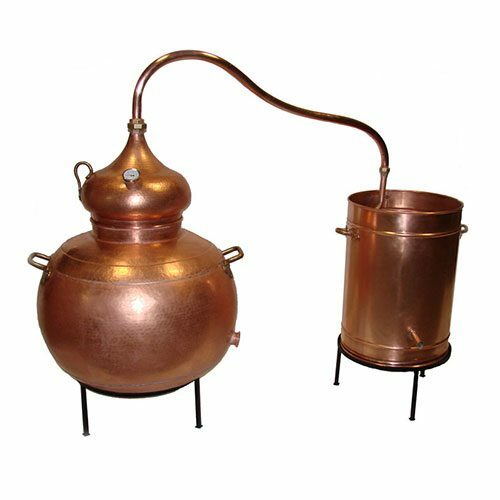 Our Copper Milk Can Still is a premium all copper still.